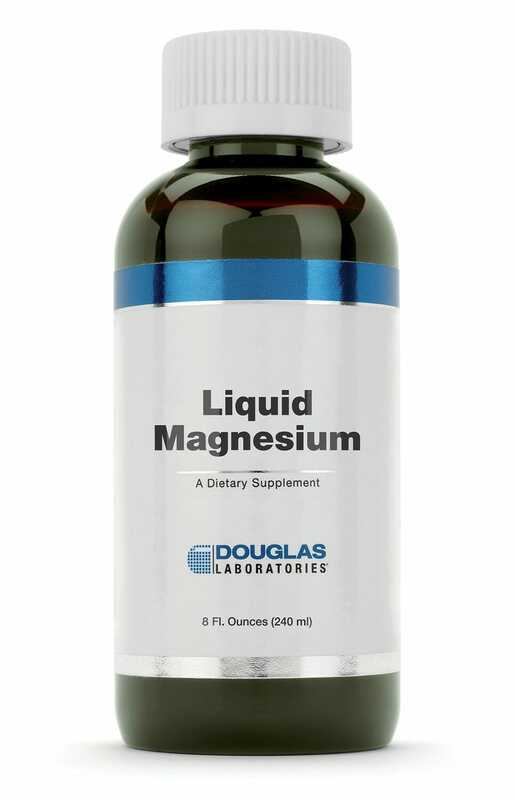 Liquid Magnesium supplies magnesium citrate in a great-tasting pomegranate flavored liquid, sweetened naturally with stevia. Purchasing this product today earns you 28 DR Reward Points! Other Ingredients: Purified water, natural glycerin, natural pomegranate flavor, xanthan gum, citric acid, potassium sorbate and purified stevia extract. Adults take 1 teaspoon daily (5 ml) or as directed by a healthcare professional. Children take only as directed by a healthcare professional. Warning: Individuals taking bisphosphonates and certain antibiotics should separate doses of magnesium by at least 2 hours. Caution should be taken with concurrent use of potassium-sparing diuretics. Side Effects: Doses higher than 350 mg per day may cause loose stools or diarrhea. 1. Kass L, Weekes J, Carpenter L. Effect of magnesium supplementation on blood pressure: a meta-analysis. 2012. Eur J Clin Nutr 2012;66:411-8. 2. Larsson SC, Wolk A. Magnesium intake and risk of type-2 diabetes: a meta-analysis. J Intern Med 2007:262:208-14. 3. Creedon A, Flynn A, Cashman K. The effect of moderately and severely restricted dietary magnesium intakes on bone composition and bone metabolism in the rat. Br J Nutr 1999;82:63-71. 4. Gyamlani G, Parikh C, Kulkarni AG. Benefits of magnesium in acute myocardial infarction: timing is crucial. Am Heart J 2000;139:703. 5. Kawano Y, Matsuoka H, Takishita S, et al. Effects of magnesium supplementation in hypertensive patients: assessment by office, home, and ambulatory blood pressures. Hypertension 1998;32:260-5. 6. Mizushima S, Cappuccio FP, Nichols R, et al. Dietary magnesium intake and blood pressure: a qualitative overview of the observational studies. J Hum Hypertens 1998;12:447-53. 7. Moorkens G, Manuel y Keenoy B, Vertommen J, et al. Magnesium deficit in a sample of the Belgian population presenting with chronic fatigue. Magnes Res 1997;10:329-37. 8. Ng SY. Hair calcium and magnesium levels in patients with fibromyalgia: a case center study. J Manipulative Physiol Ther 1999;22:586-93. 9. Rubenowitz E, Axelsson G, Rylander R. Magnesium and calcium in drinking water and death from acute myocardial infarction in women. Epidemiology 1999;10:31-6.